Kia has taken one of its most popular sedans and adapted it to the green-focused needs of modern buyers. You’ll find the traditional Kia Optima Hybrid, as well as the 2017 Kia Optima Plug-in electric version. But this vehicle isn’t just a cookie-cutter hybrid-it’s a seriously impressive vehicle on its own merits. You wouldn’t expect a plug-in hybrid to look exactly like its gas-powered counterpart, and that’s a good thing because it doesn’t. While you’ll certainly recognize the Kia Optima Plug-in as a part of the Optima family, some of its exterior styling breaks away, like its active air flap on the front fascia and the blue exterior accents. Just like the Optima, though, this version has some of the best features, like the Smart Trunk (which opens when you stand behind it with your Smart Key) and the power mirrors with integrated LED turn signals. The interior is equally impressive, upping the ante on tricked-out sedans. You’ll obviously find the standard features you’d expect from a sedan in 2017: power windows and doors, USB charging ports and a push button start. But you’ll also see Kia going farther in this plug-in hybrid, with heated leather seats, leather and metal accents, and a leather wrapped steering wheel and gear shift. When you sit in the Kia Optima Plug-in, you’ll feel like you’re riding in a luxury sedan. As you might expect, the Optima Plug-in Hybrid is a tech lover’s dream. An 8-inch touchscreen is equipped with Uvo eServices, which allows you to control your smartphone integration (you can opt for Android Auto or Apple CarPlay), and access your messages and contacts easily. Bluetooth connectivity keeps you connected and safe by helping you make hands-free phone calls while voice activated navigation gives you the leg up on traffic. You’ll stay connected while you commute. If you’re looking for top-of-the-line safety options, the Kia Optima Plug-in can give it to you. In addition to the standard safety features you’ll get on nearly any modern vehicle, including airbags, vehicle stability, traction control, brake assist, hill start assist, and others, you’ll also be able to choose from quite a few active safety features. Most of them you’ll need to add, for an additional fee, but you can opt for autonomous emergency braking, forward collision warning, lane departure warning, smart cruise control, rear cross traffic alert, blind spot detection, or rear parking assist. 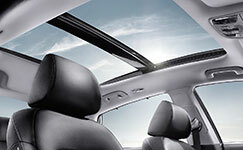 Make the interior of your plug-in even more spacious with this optional panoramic sunroof. Keep all of your devices charged on the go with these easy-to-access USB ports. Smart Key-equipped, the Optima Plug-in gives you the freedom to stop and start the vehicle with a simple push-button option. 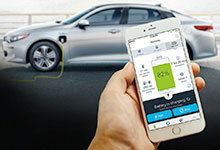 Check on your battery charge and your efficiency from your equipped smartphone with this free app. 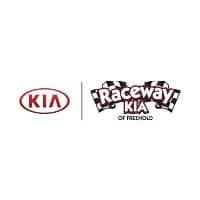 Unlike other hybrids and electric cars on the market, Kia doesn’t just slap a so-so hybrid engine into its best-selling Optima and call it a day. This vehicle is an incredible combination of efficiency and beautiful design (inside and out), a winning formula that has created the legitimately impressive 2017 Kia Optima Plug-in Hybrid.